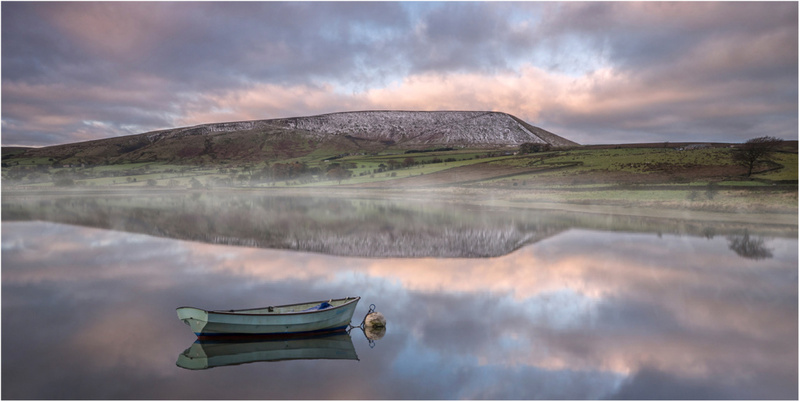 This image is a view across Black Moss Reservoir to Pendle Hill. Taken in November 2016, it was an early start to catch the sunrise which turned out to be a bit disappointing, however there was a little colour in the sky which could be enhanced in post processing. I thought the foreground lacked interest, so I added the boat from an image of Windermere, which was also taken at dawn in winter about a year earlier. I thought the shore line needed softening to avoid the picture being cut in two, so I added a bit of mist in Photoshop. This image has done well for me in external exhibitions having been accepted 7 times. I have only ever entered the image in “Open” and not “Scapes” sections due to the added boat and mist. The image was also commended in this year’s Photoshow and was my most popular with the public.